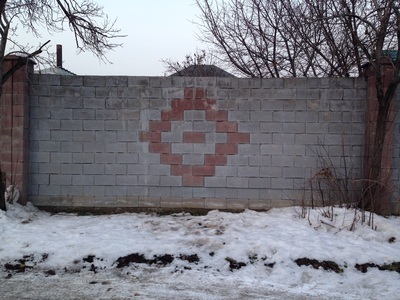 It's amazing what the organizational mind of man can do with a pile of cinderblocks and some iron oxide. 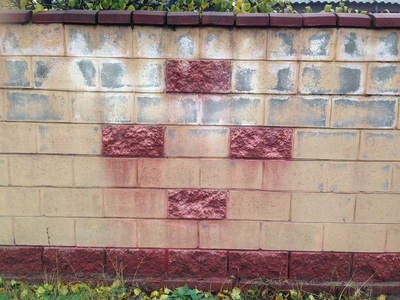 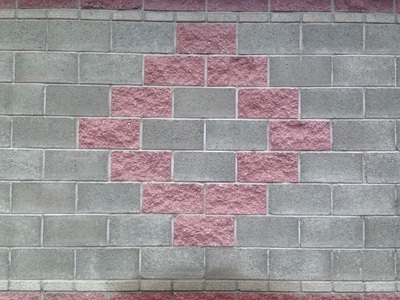 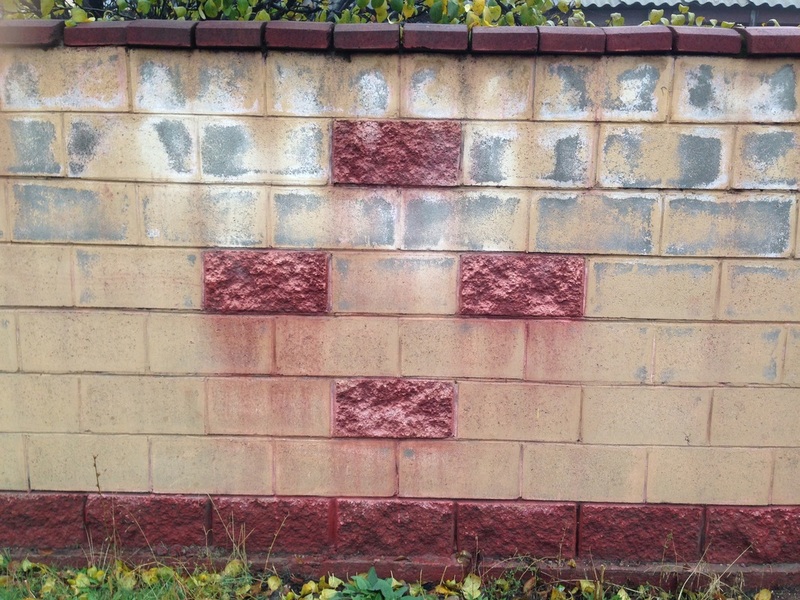 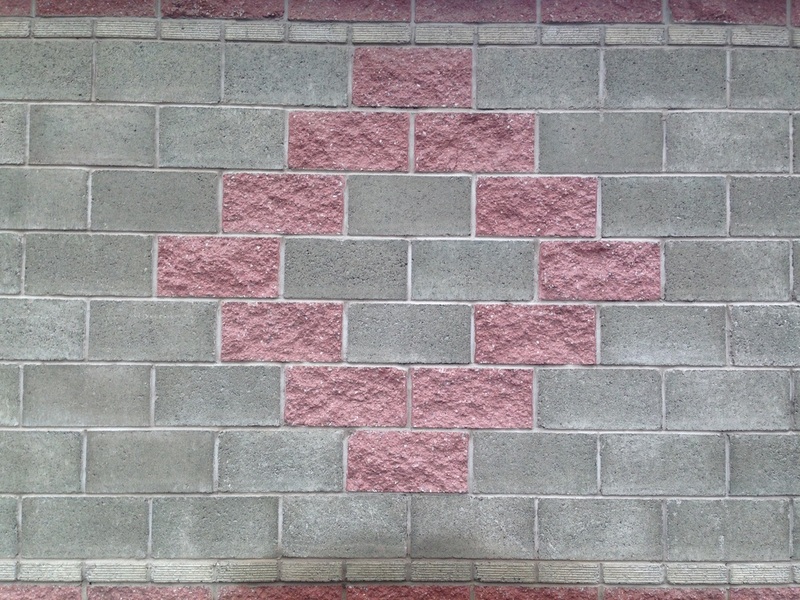 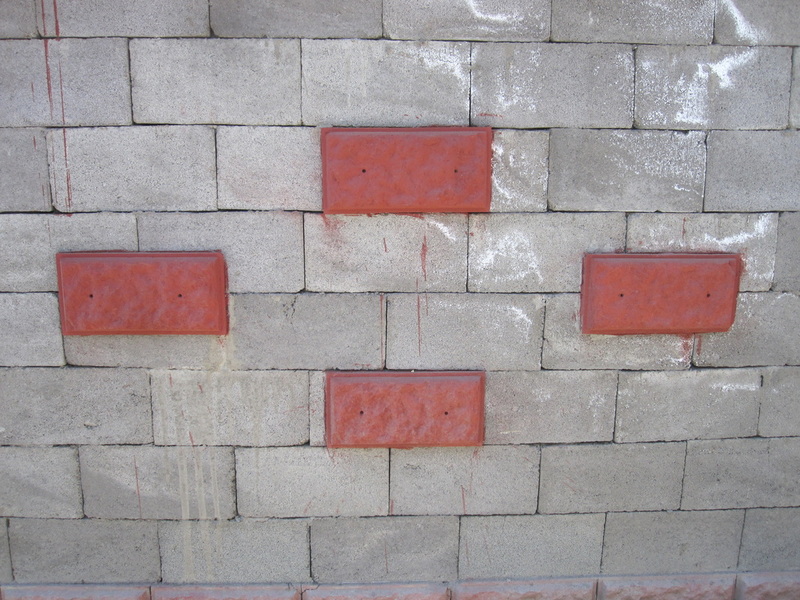 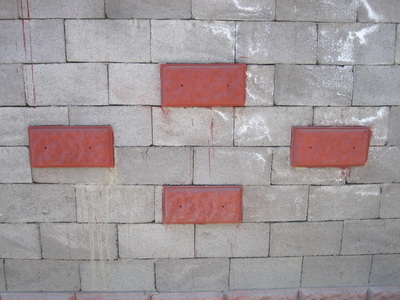 The same chemical compound that makes rust rusty, iron oxide is used as a pigment to turn blocks red, added to cement mixture to make the world's second-most common cinderblock color after grey. 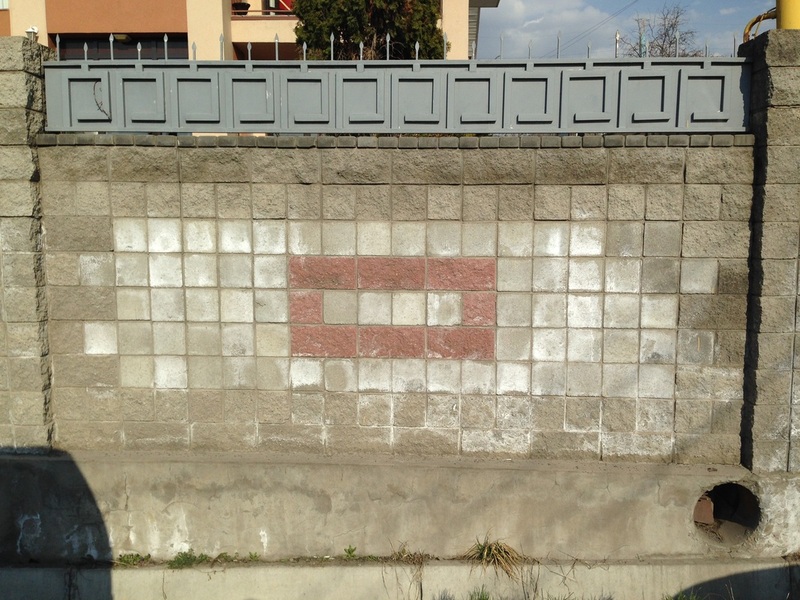 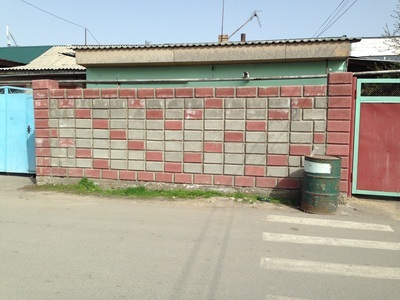 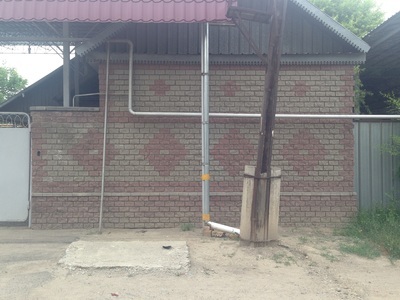 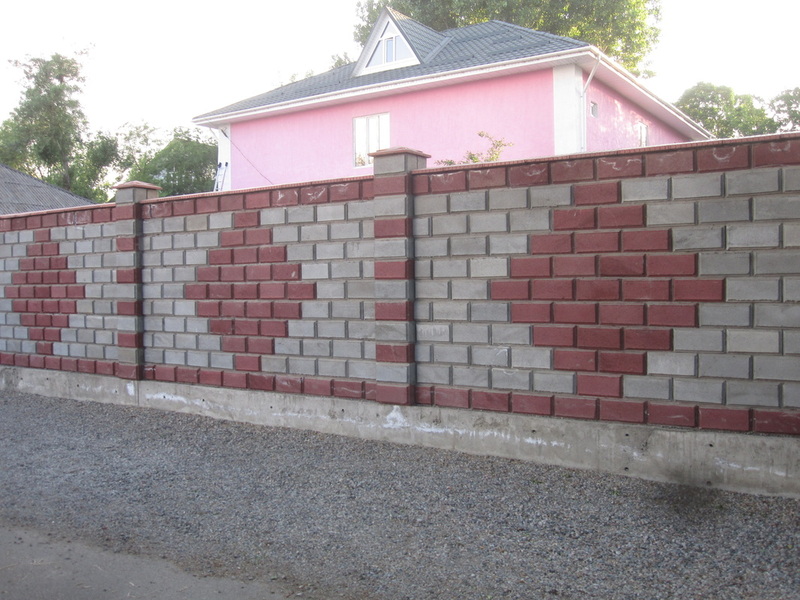 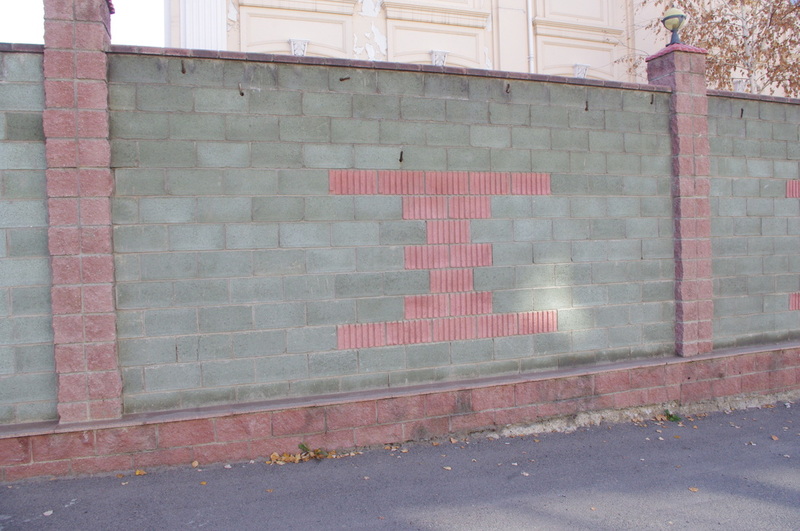 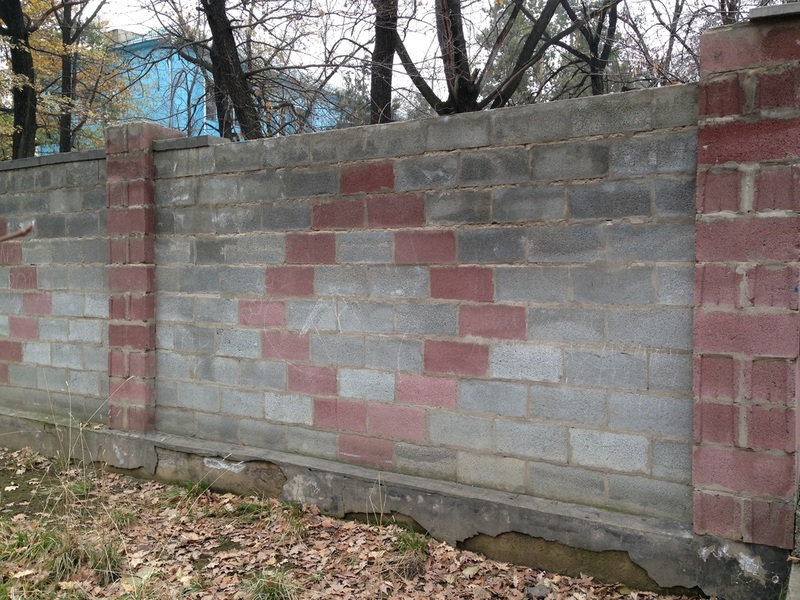 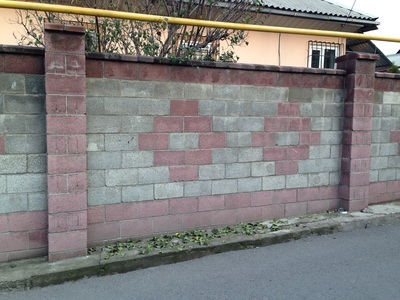 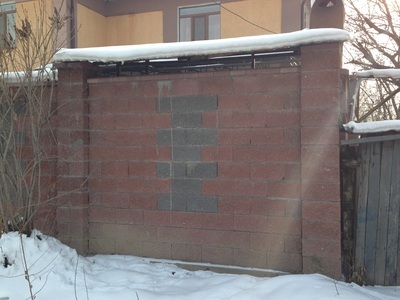 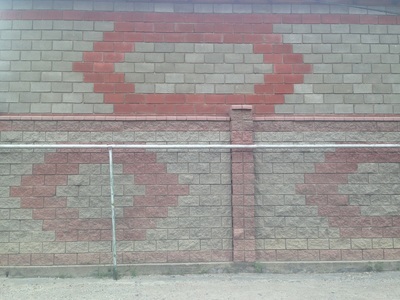 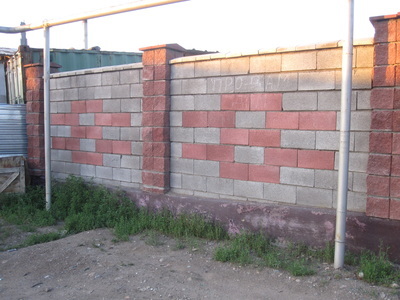 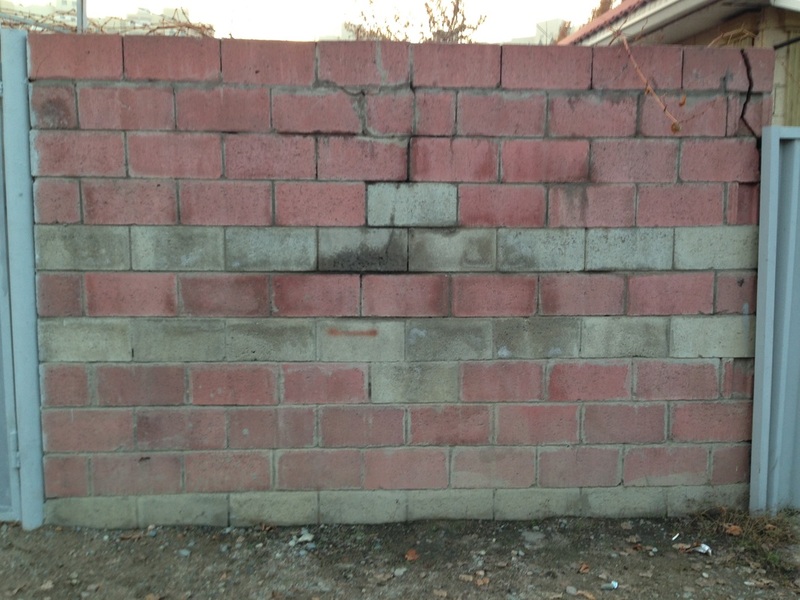 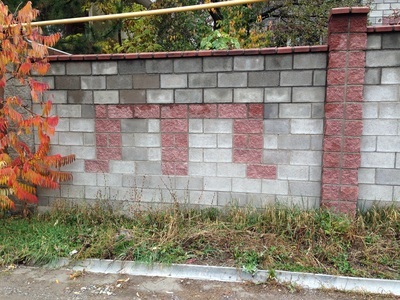 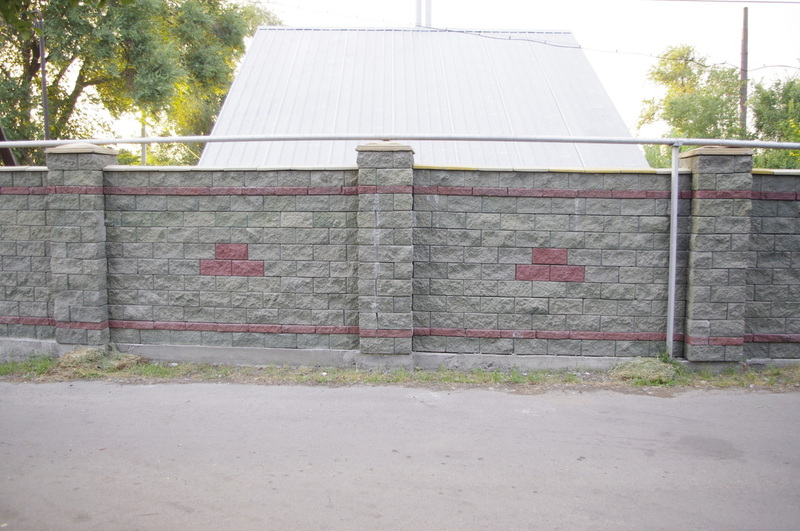 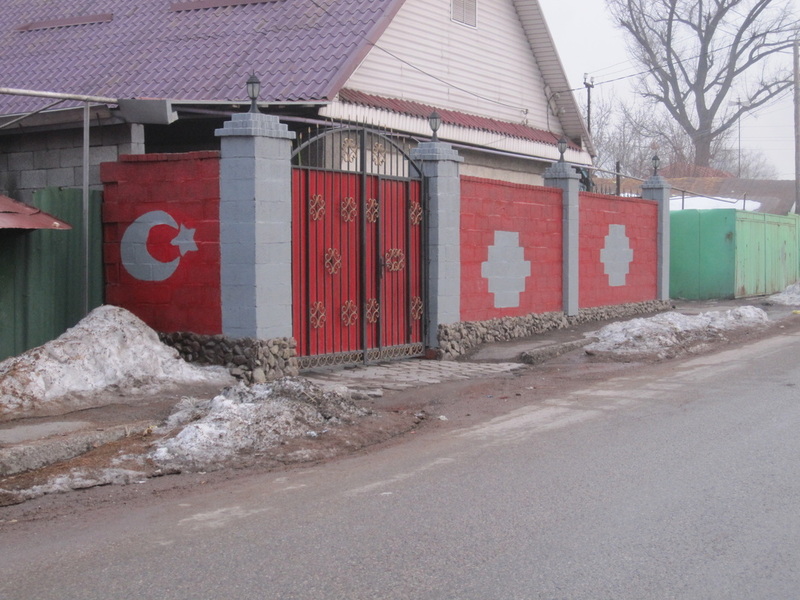 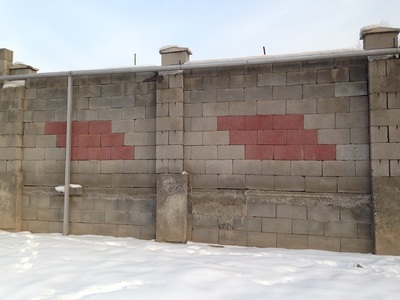 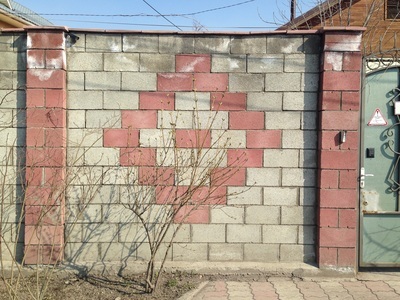 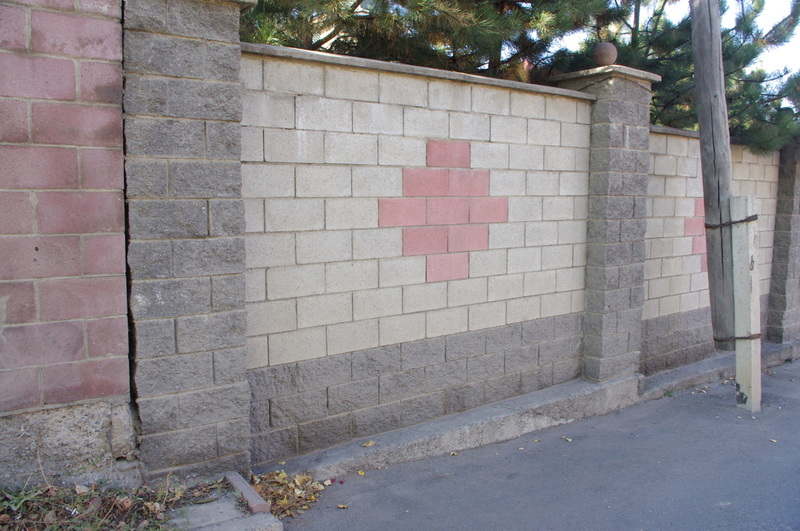 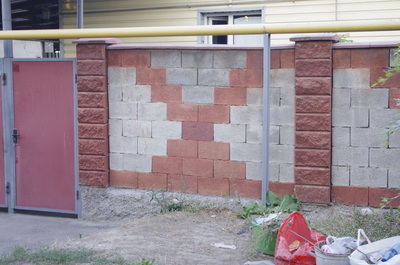 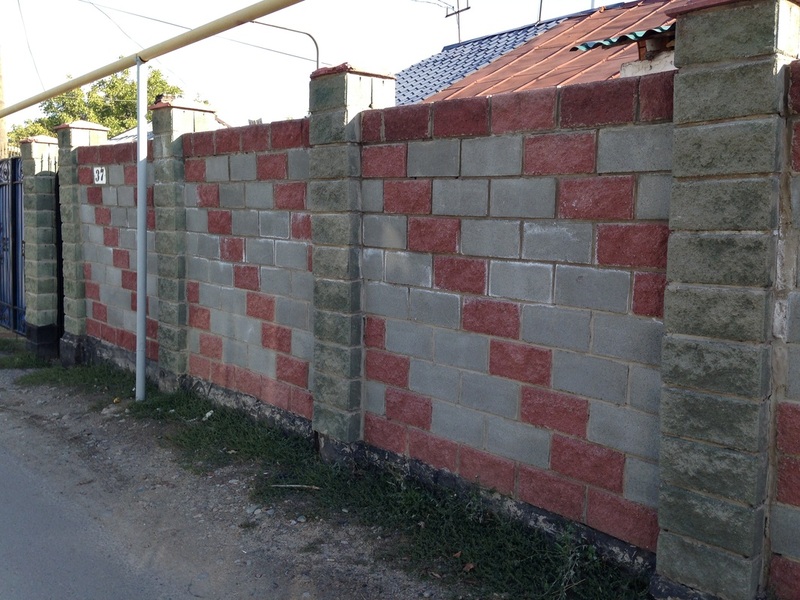 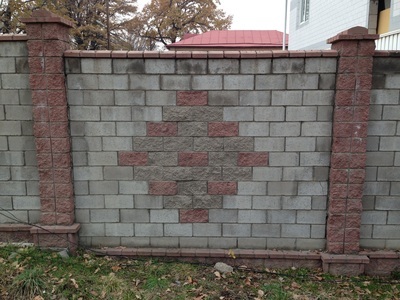 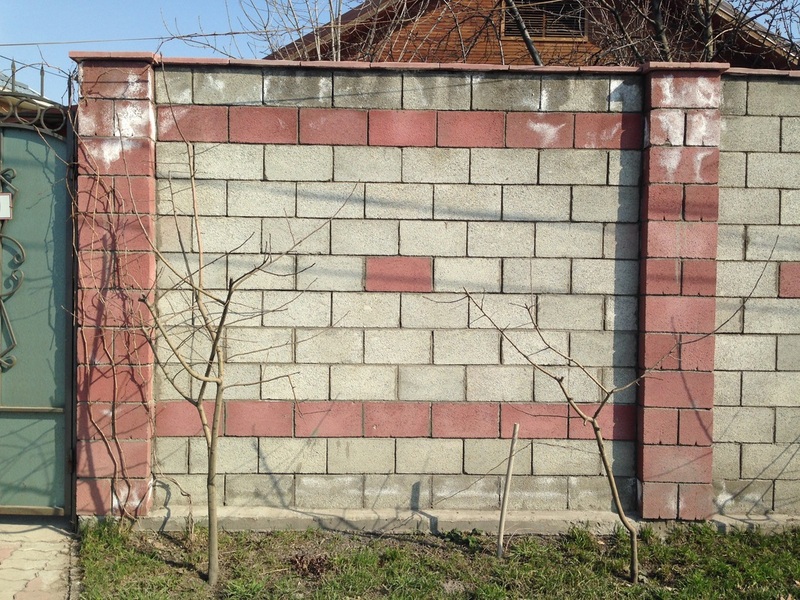 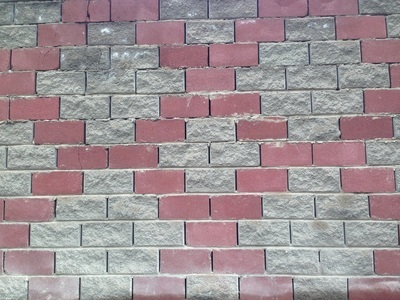 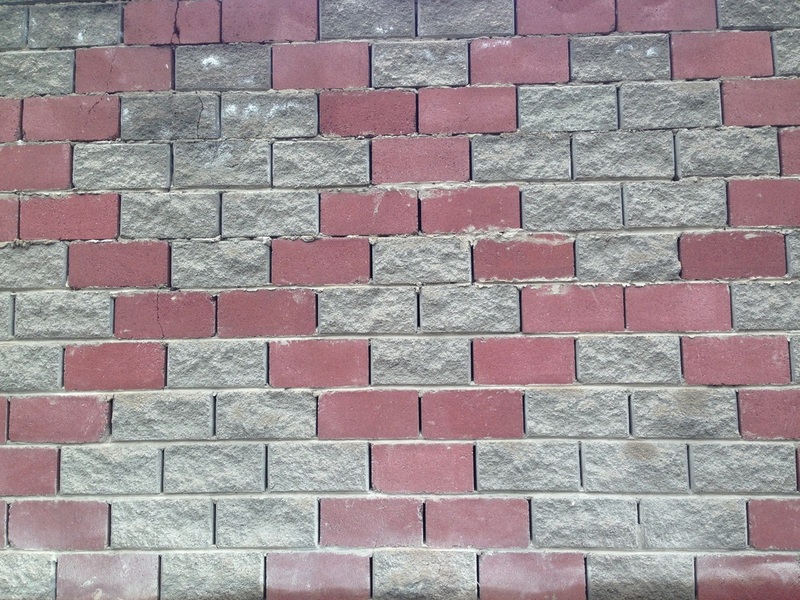 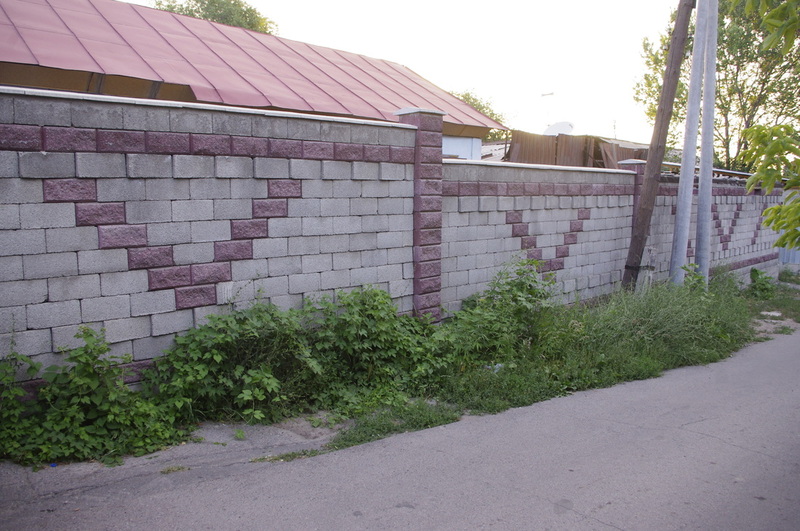 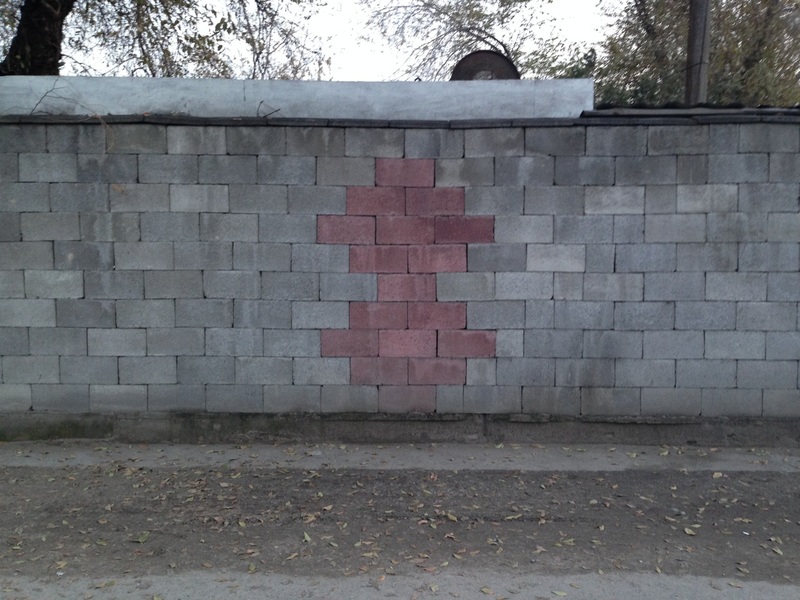 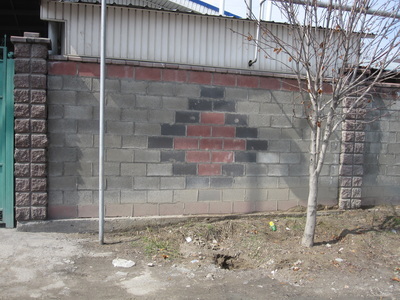 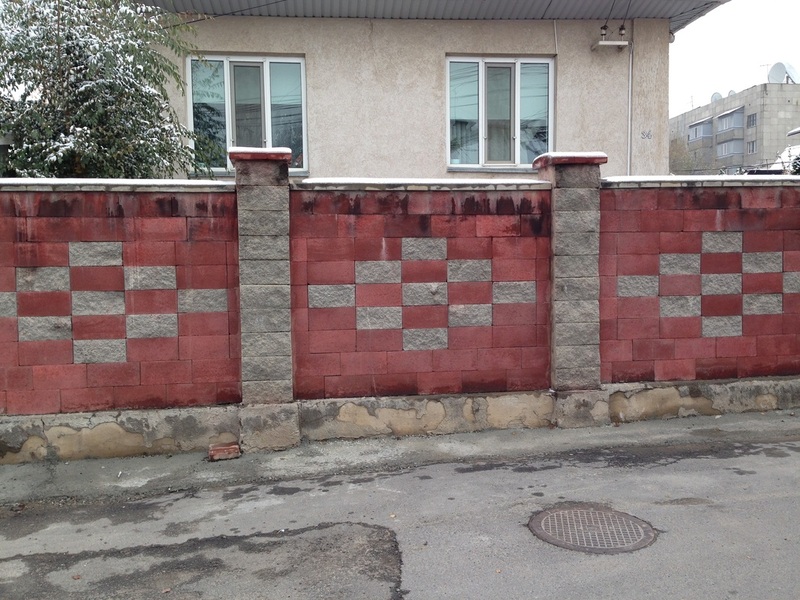 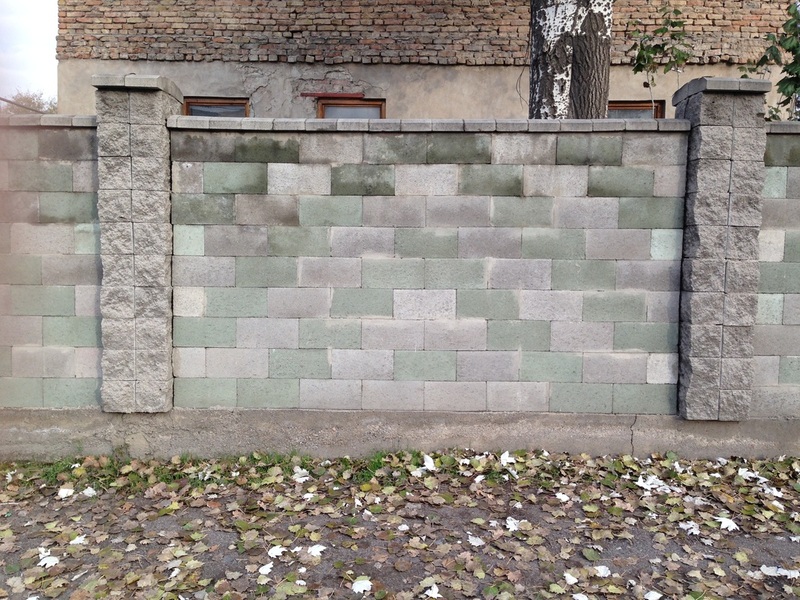 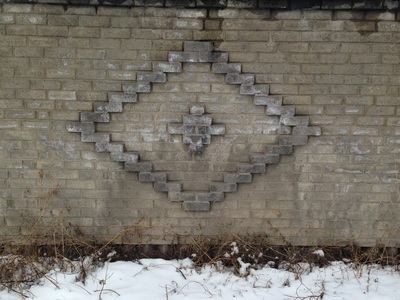 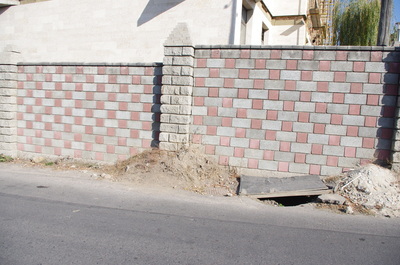 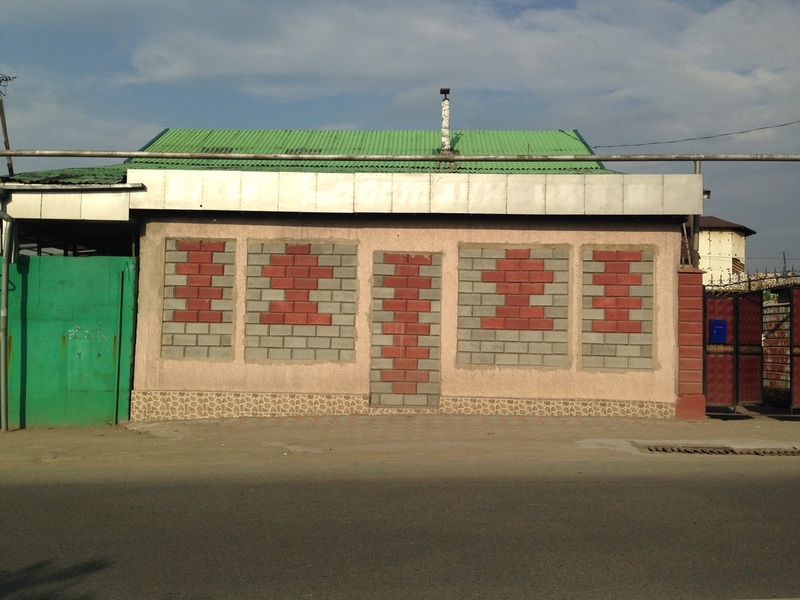 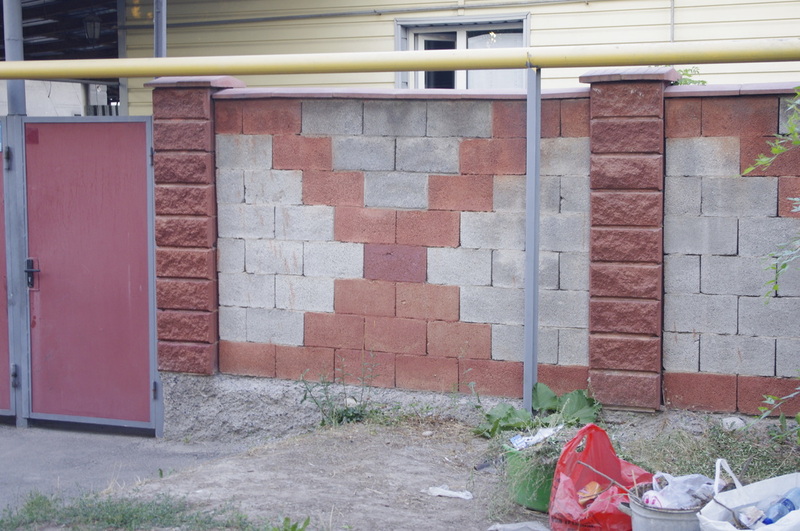 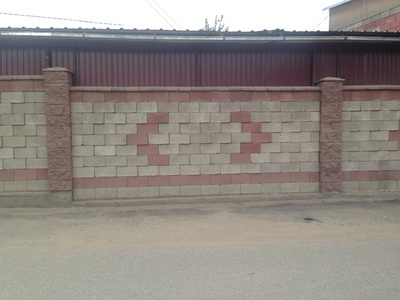 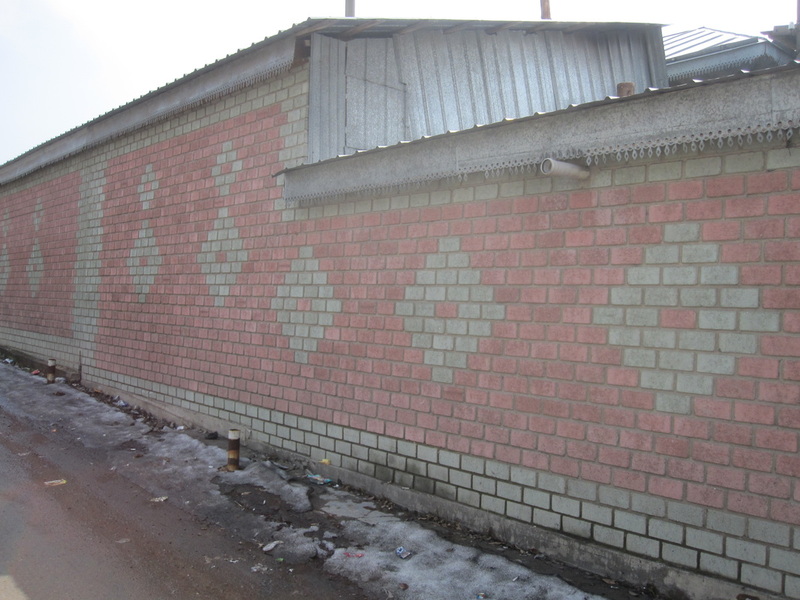 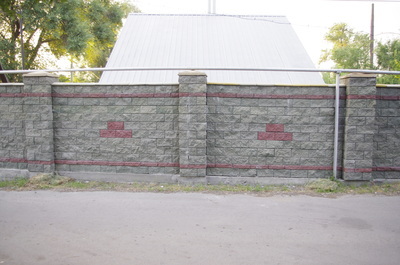 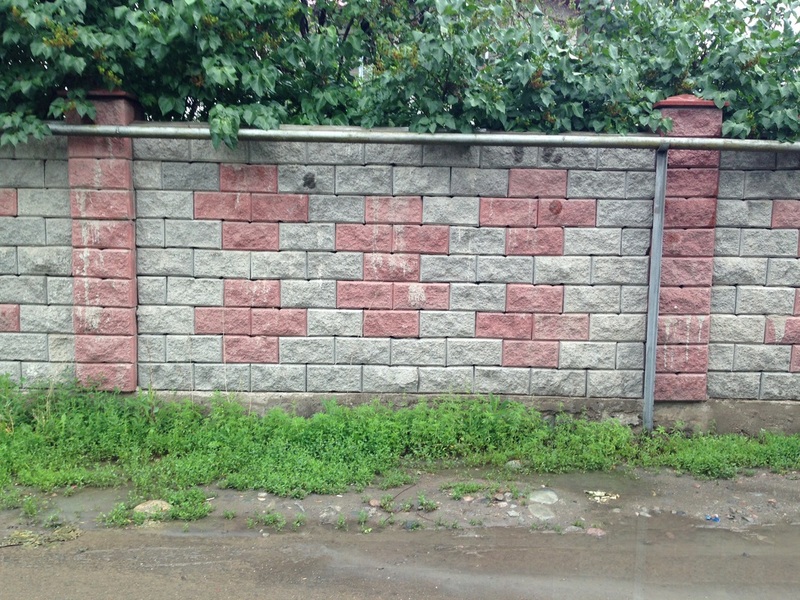 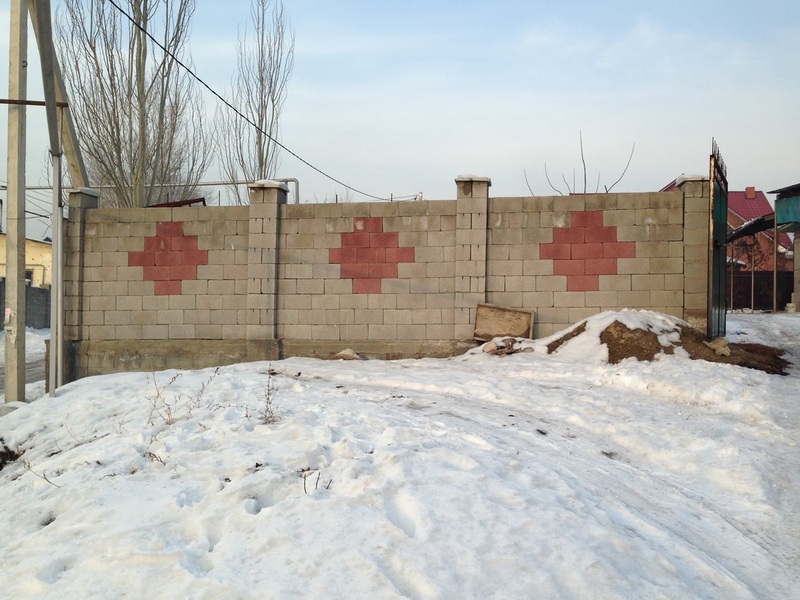 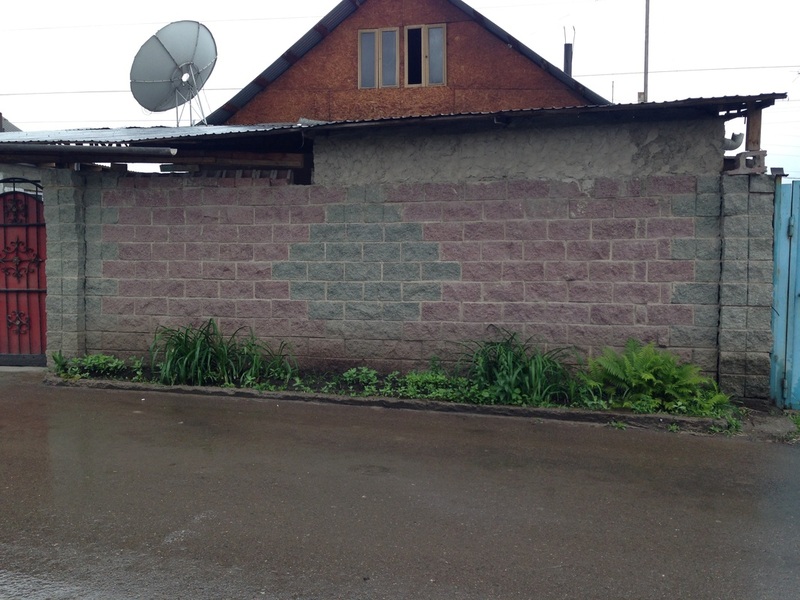 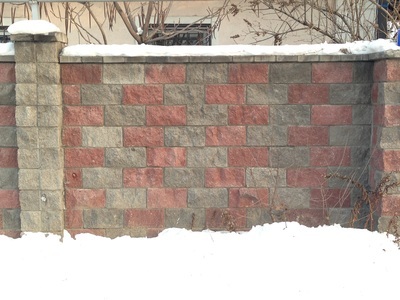 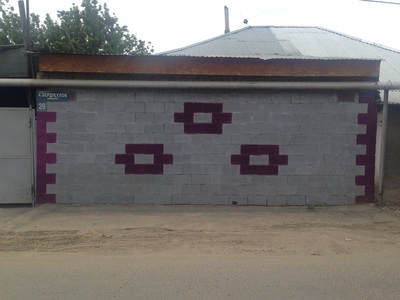 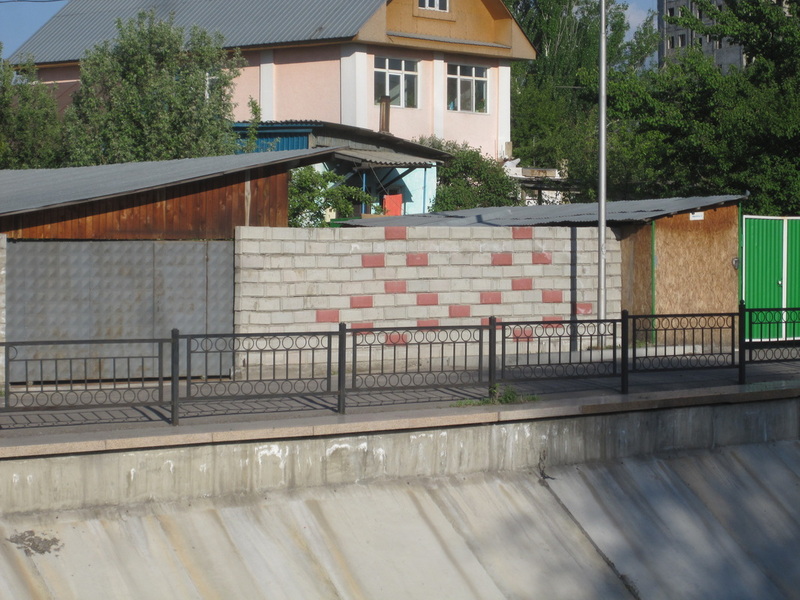 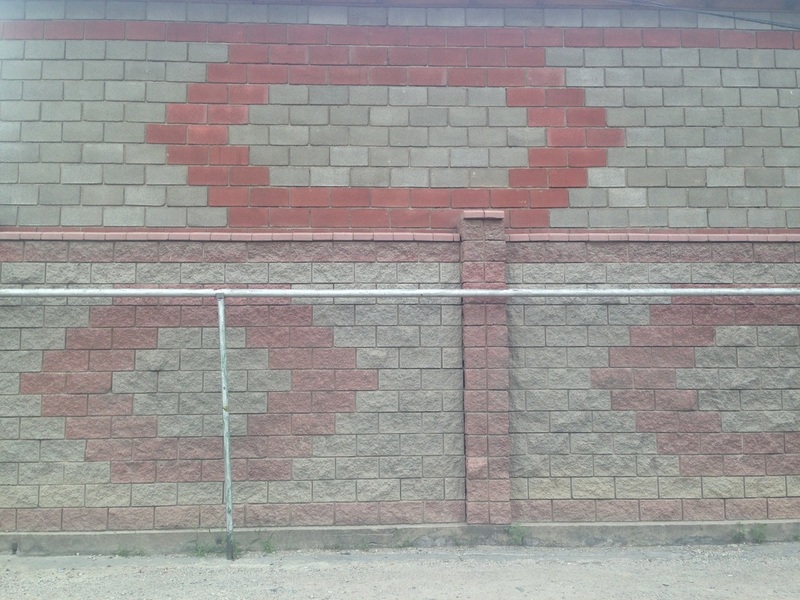 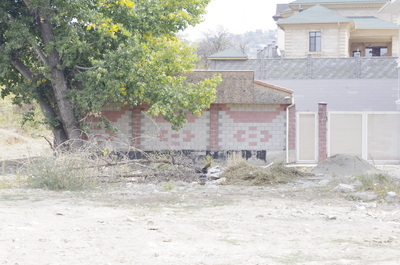 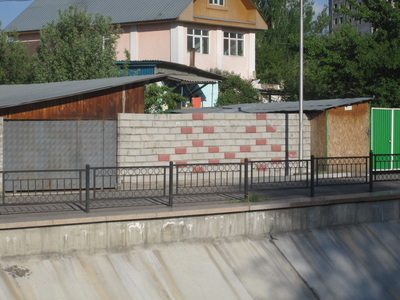 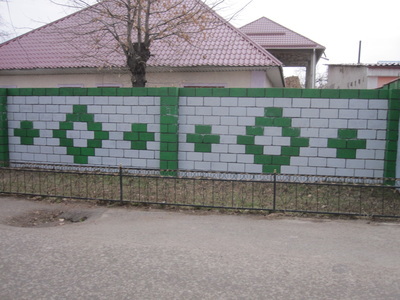 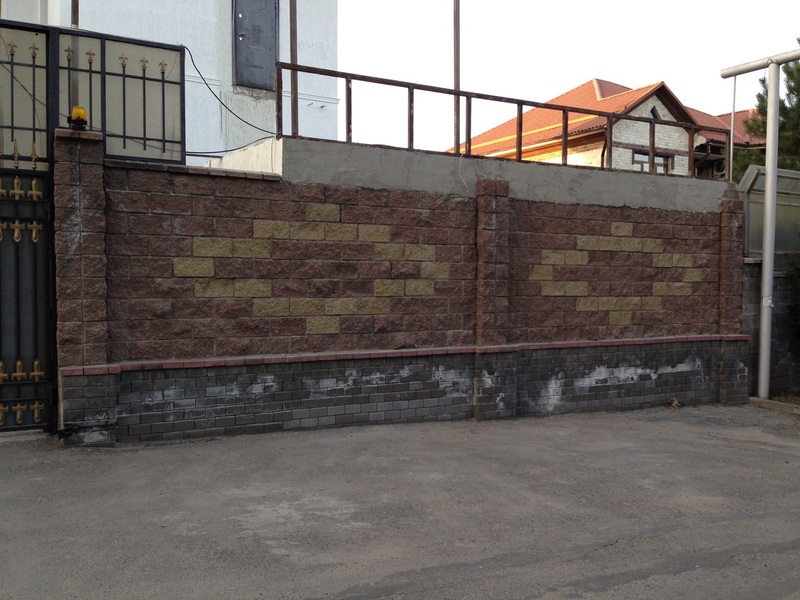 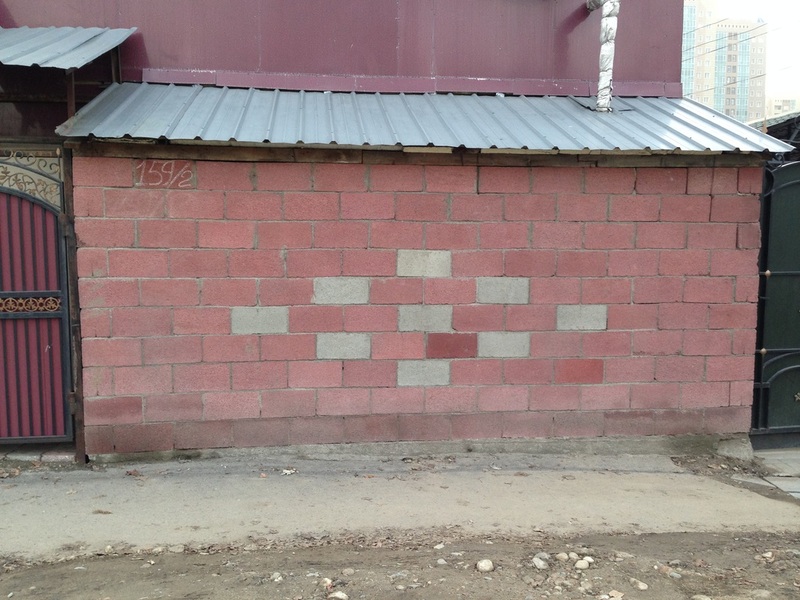 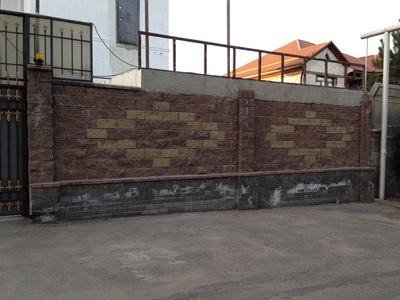 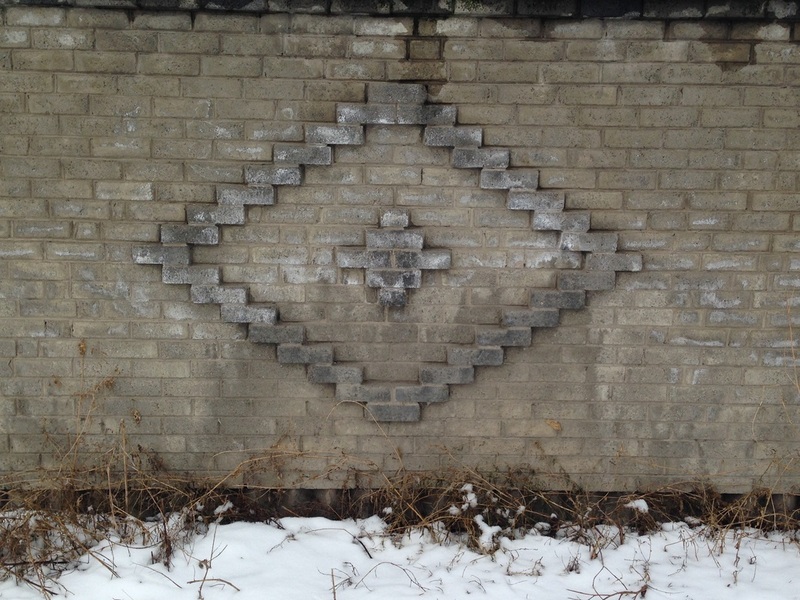 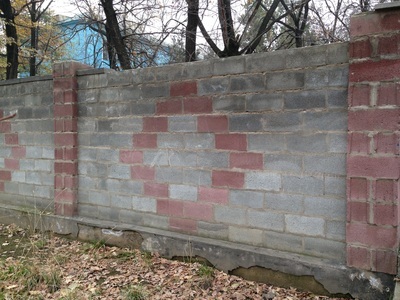 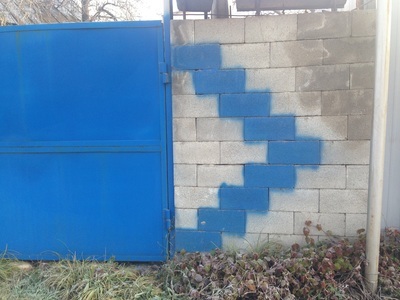 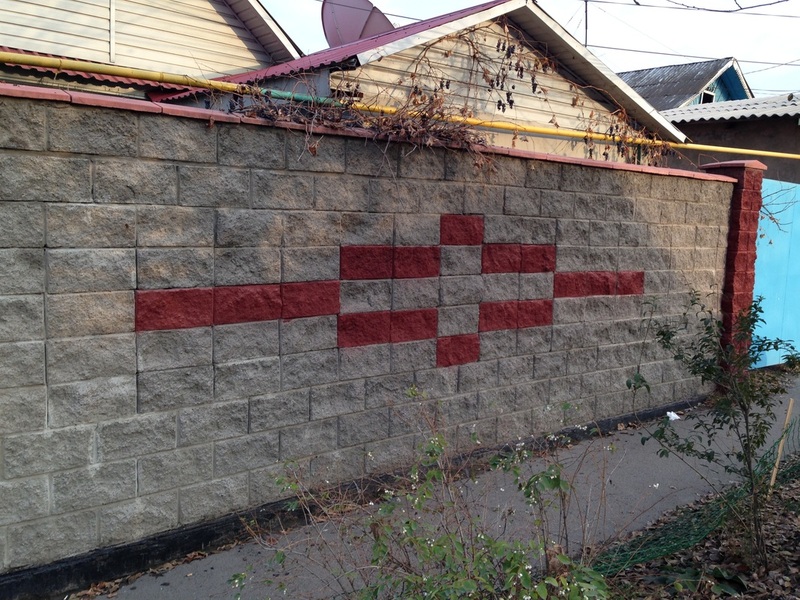 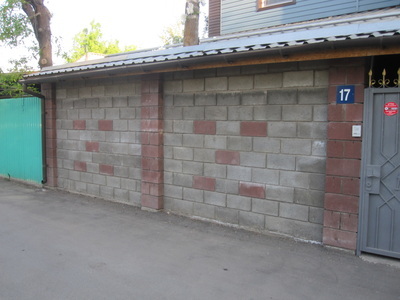 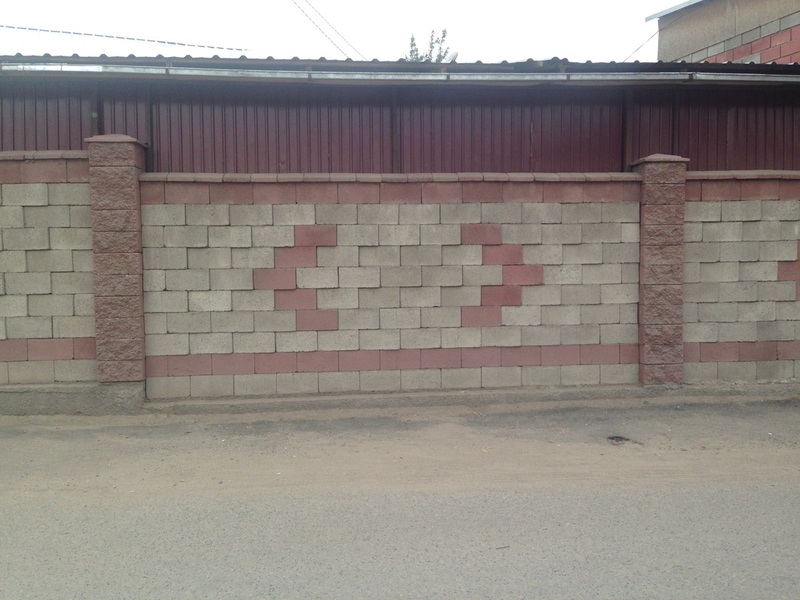 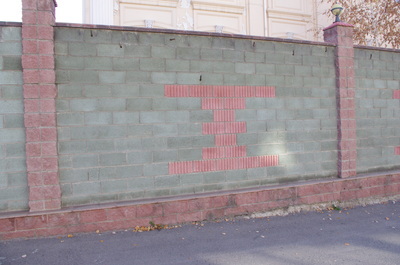 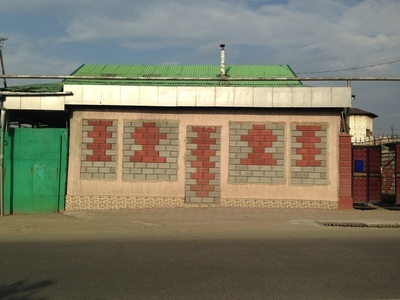 With just these two tones, cinderblock walls in Almaty become the canvas for a kind of masonry pixel art. 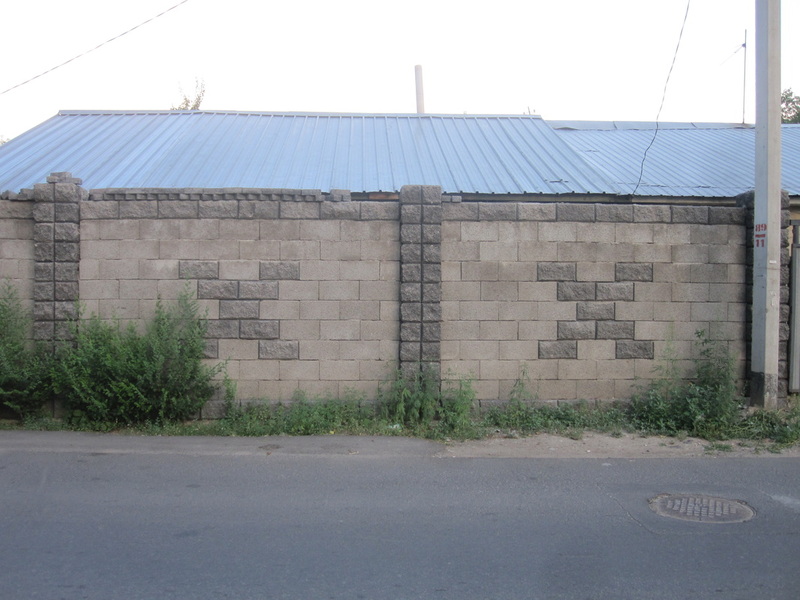 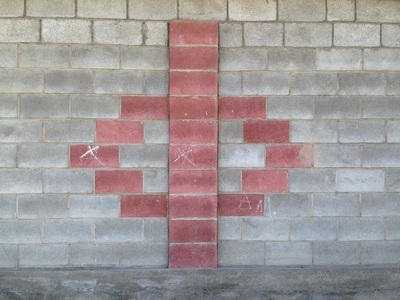 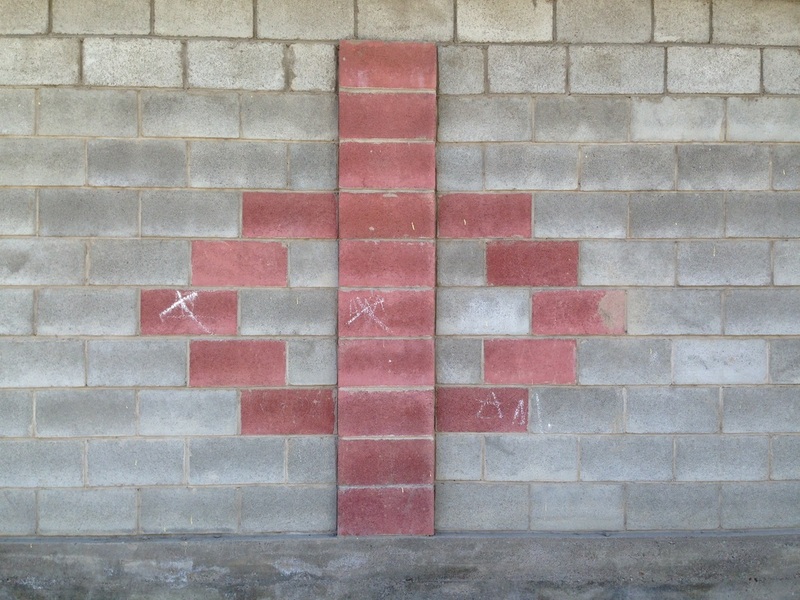 The rhombus, of course, is the most common shape, but I'm always surprised to find more and more designs, anonymous masons or DIY homeowners making novel patterns despite the limitations of the form.